The more easily blood flows through your arteries and veins, the less your heart has to work. Now researchers from England and Germany have proven that less than a cup of wild blueberries can have an almost immediate and long lasting effect on how well your vascular system is circulating blood. Researchers from the University of Reading and the University of Dusseldorf conducted two randomized, controlled, double-blind crossover studies in 21 healthy men between 18 and 40 years old. They wanted to determine the impact of various amounts of wild blueberries on cardiovascular function. In the first study, some of the men drank varying amounts of blueberry polyphenols, ranging from the equivalent of 240 grams (3/4 cup) to 560 grams (1¼ cups) of wild blueberries. Others were given a drink with the same macro and micronutrients but no blueberry polyphenols. The researchers then measured changes in the men's "flow-mediated dilation." FMD is the gold-standard technique to measure endothelial function. The endothelium is the lining of the blood vessels. FMD is considered a good predictor of cardiovascular disease risk. The researchers measured changes in FMD at 0, 1, 2, 4 and 6 hours after the men drank the blueberry polyphenols. They found improvements in FMD at 1, 2 and 6 hours after consumption. 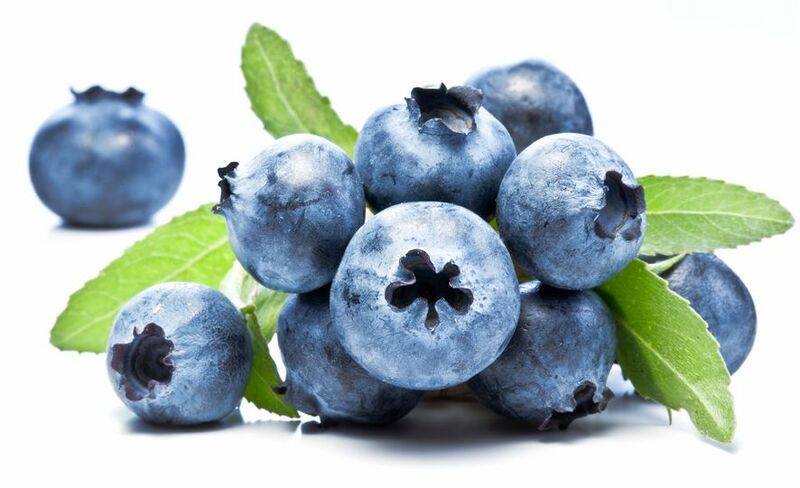 The beneficial effects correlated with levels of blueberry polyphenol metabolites in the blood plasma. In other words, as the blueberry polyphenols were broken down by enzymes into various metabolites, endothelium function in the men improved. The benefits lasted at least 6 hours. A second study was conducted to investigate the dose of blueberry polyphenols needed to see beneficial effects. The researchers tested the equivalent of 100 grams to 560 grams of wild blueberries at 0 and 1 hour post-consumption. Their results showed that FMD improved in a dose-dependent manner up to the equivalent of about 240 grams of wild blueberries. Then the effects plateaued. In other words, the men didn't get any additional benefit in endothelial function by eating any more than the equivalent of ¾ of a cup of wild blueberries. Visit GreenMedInfo's database for more health benefits of blueberries. The current study used wild blueberries. They are smaller than the cultivated versions most often found in your supermarket, with about twice the number of berries per pound. They also have less water and a higher skin-to-pulp ratio. That means the wild versions have more intense flavor and double the antioxidant content. In North America, the harvest season for wild blueberries is July and August in Maine and Canada. But you can find fresh frozen berries in supermarkets all year round.